Affective Component – feelings of an attitude – For example if a person is scared of spiders or dogs. Behavioural Component – Predispositions to act towards an attitude. – For example if the person scared of spiders sees one, they will react and scream. Cognitive Component – Thoughts about an attitude. – For example this is why they justify their actions against the spider, believing it to be dangerous in some way. The main point about the ABC model is that we believe a person will be consistent with the attitudes towards things that they have. For example a person will always be scared when they see a spider. However, this is not always true, most people have the attitude that drinking excessively will be damaging to their health, yet despite this their behaviour around alcohol is to carry on drinking. Work Situation – Attitude towards the actual job; pay, co-workers, working conditions, etc. – This will influence how the culture is in the company, how people see the work situation will change their behaviours. If they believe they are not being paid enough, they may well act out behaviourally. Personality – The way someone attitude is in the first place. – Completely dependant on the actual employee and a reason why the hiring process can be such a big part of a business, to ensure that they hire the right personality, the right person whose attitudes and behaviours fit in with those already working in the organisation. Values – What comes out of the work. – The attitude towards the standard of work. Social Influences – What co-workers, managers etc. attitudes are like. – If fellow co-workers are lazy, then the attitude is likely to by ‘well why should I work harder?’ and this will cause the behaviour of not working hard enough just because others are. What is the Definition of Attitudes? 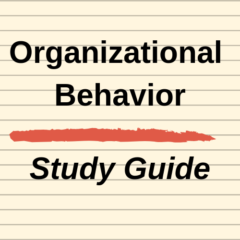 What is the Definition of Behaviours? What are the Three Main Components of Attitude? What are the Four Main Attitudes in the Workplace?